News by Clark A. and Lindsay M.
This weekend the world was abuzz talking about Nintendo’s Switch presentation. But the presentation only focused on a few titles, so let’s look at those we’re most excited for that you may have missed. 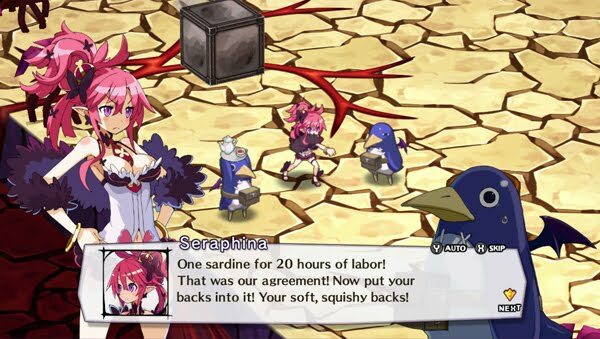 There hasn't been a Disgaea title available on a Nintendo platform since 2008's Disgaea DS, but that's set to change with Disgaea 5 Complete. It's an enhanced port of the stellar PlayStation 4 game from a couple years ago, so it will no doubt reintroduce Nintendo fans to one of the most delightfully life-sucking tactical RPGs formulas out there. It promises "8 bonus scenarios, 4 fan-favourite characters and 3 character classes" in addition to the base game. One could argue the real important message here is that NIS is giving the Nintendo Switch a shot despite historically favouring PlayStation platforms with its releases. No specific release date has been stated besides spring 2017, but pre-orders are already open if you're anxious to get in on that sweet special edition action. The ultimate mashup of two falling block puzzle games, Puyo Puyo Tetris, is headed to the Switch this spring. Although it was initially released three years ago in Japan, there was plenty of speculation that licensing issues would prevent a western pilgrimage. That all seems to have sorted itself out though, as those in North America and Europe will soon be able to experience a wealth of single player and multiplayer modes featuring both these ever-enduring games. Some modes will approach the mechanics of the two games on a more individual basis while others opt for a true fusion that sees Puyo and Tetris pieces on one board. On the Switch, it will be budget priced at $29.99 USD for the download and $39.99 USD for a special edition physical copy that includes two Puyo Puyo and Tetris themed keychains. The PlayStation 4 version will be a rare example of a retail-exclusive. Microïds has announced that Benoit Sokal’s upcoming game, Siberia 3, will be available on the Switch; the release date will be announced in the near future. In the game, the player takes on the role of Kate Walker. She is found on a shore by a nomadic tribe, being left there for dead. Kate works with the Youkol tribe to find a way to escape the city imprisoning them. Syberia 3’s soundtrack is composed by Inon Zur, best known for musical work on Siberia 2, Fallout 4, Dragon Age, and Prince of Persia. Racing lovers take note, as an original game of the genre is set to launch on the Switch in the months following the console’s release. Redout is developed by Italian indie studio 34BigThings using Epic’s Unreal graphics engine, and it promises to look great whether played at 6.2 or 62 inches. The game is set over 500 years in the future — and that means anti-gravity! Earth is a wasteland but some enterprising folk installed extremely elaborate magnetic race tracks, turning racing into the only sport that matters on the barren planet. Real-world locations are featured, or at least, imagined future locations are features. The development team spent two years (hopefully) perfecting the controls, with the right Joy-Con stick being used to pitch the vehicle forward or backyard (when doing downhill or uphill, respectively); the right stick can also be used for drifting. Redout isn’t the only game Nicalis is bringing to the Switch, as The Binding of Isaac: Afterbirth + is also expected sometime this year with both a physical and digital release.